Nobel Prize-winning economist and Yale professor Robert Shiller said in a recent CNBC interview that the long expansion in the economy, housing and stock markets, combined with low interest rates, likely means the U.S. is headed for a recession in the near future. “Unlike a weather man who can go out a few days, economists can go out months,” Shiller said. “But after about a year or two (projections) get iffy. 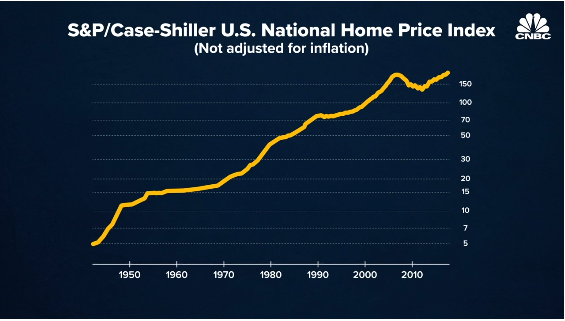 As far as the biggest risks, Shiller first mentioned the housing market. Next Shiller listed the longest bull market on record, followed by the lowest interest rates ever and a record expansion. 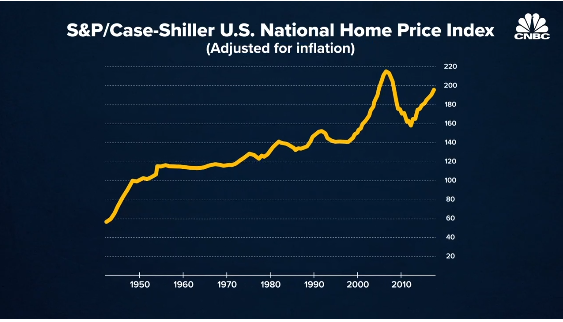 Ultimately, Shiller said, recessions are tough to predict until they’re upon you. “Remember, we’re trying to predict human behavior, and humans thrive on surprising each other,” he said. “Things like the election of Donald Trump, nobody thought that would happen back in 2015. But here it is, we’ve got him. The same types of things can happen again. Just like wildfires in California appeared — we had a really bad year on that. That’s just another example of big surprises throughout history. But the problem is we tend to magnify them. We try to read into the California wildfires, for example, more than is justified. So what exactly happened to the stock market after the McCarthy hearings?